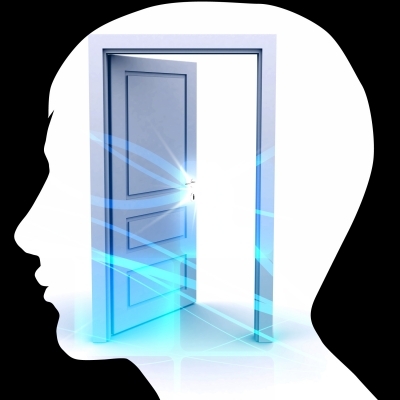 How psychology and influence is used to open doors. In psychology and influence its always good to understand that when you are attempting to persuade some to make an action or decision it is usually better to start small. This is because putting all your cards on the table and directly asking for a large concession upfront is usually met with resistance, and while this bold move can sometimes work depending on who your dealing with most of the time it doesn't and can place you in a more difficult position which makes your job a lot harder than it needs to be. There are two types of sequential requests which are very useful in most but if not all situations and contexts depending on which one you are using, and they are researched by Professor Robert Caldini and mentioned in his book Influence: The Psychology of Persuasion . The two sequential requests of this topic are the foot in the door technique and the door in the face technique. A very simple technique and easy to use because to put it simply people have need to be consistent and feel internally obliged to do so. To start with you ask a person to perform a small request which they are likely to say yes to then the next request will be bigger and related to the last request which they again will likely say yes to and you carry this pattern until you have guided them to a predetermined goal. Sometimes you may have to ask for two requests to get to the goal in mind, sometimes you may have to ask for more depending on the person and how big the predetermined goal is. You will have to judge accordingly. For example, your goal maybe to get someone to help you with your work, you first ask them to check if you've spelt a word in your piece of work correctly (a small request), then you ask them to check if there are any other spelling mistakes (a bigger request), then you ask them if they are good with work/research (which they should say yes to), then lastly you ask them to help with your work which by the time you get to asking this their need to be consistent has already kicked in and they will likely say yes. In the mid 1960's psychologists Jonathan Freedman and Scott Frasier conducted an experiment where a researcher posed as a volunteer worker going door to door in a Californian neighbourhood asking the resident home owners if they could have a public billboard sign installed in their front lawn reading DRIVE CAREFULLY. Understandably a majority of these people said no (83 percent) because it was such a large request upfront. Another set of residents were asked the same request but two weeks prior to this they were asked if they could display a small 3 inch sign saying BE A SAFE DRIVER. The results were that because they committed to displaying the smaller sign the likelihood of them displaying the billboard dramatically increased. A full 76 percent of the people agreed to displaying the large bill board after displaying the much smaller sign. Very similar to the foot in the door technique though not as effect but very useful nonetheless. Again you make a request but this time you make it a large request and when the person says no you make a smaller request which the person being asked is most likely going to say yes because the second request will seem more reasonable in comparison to the first request and sometimes (depending on the person) the feeling of guilt has a part to play also. 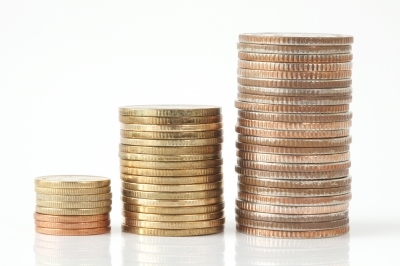 Have a predetermined goal helps so you don't get a smaller concession than planned for example if you need 50 pence (or cents if your American) you may ask an acquaintance ''do you have 80 pence?'' they say no, then you ask ''okay do you have 50 pence instead?'' the person says yes and viola you have your 50 pence. Very simple. Robert Caldini and his researchers in 1975 carried out an experiment involving two groups of students where the first group were asked a difficult request to volunteer to council some juvenile delinquents for two hours a week for two years, naturally the students said no to this so the researchers followed up with an easier request of asking them to chaperone them to the zoo for one day only while the second group were only asked to take the juvenile delinquents to the zoo. The results were 50 percent of the students in the first group agreed with the small request after the large request was made compared to the 17 percent in the second group who were asked the small request only which suggests that the students were more likely to comply with the small request if a larger one was asked to begin with. Deindividuation and ''losing yourself'' in the moment.